Parker & Lane: Criminal Justice is a unique crime investigation game by GameHouse. Lily Parker is a smart and righteous detective, but her own life is a mess. Victor Lane is a smug but charming criminal defense attorney. When some of the criminals Lane defended in the past start dying, Parker’s forced to work with him to find the culprit. Your objective is to help rookie detective Parker to solve cases and bring criminals to justice, expose the hidden killer before another victim falls. Look for evidence while investigating 9 different locations. 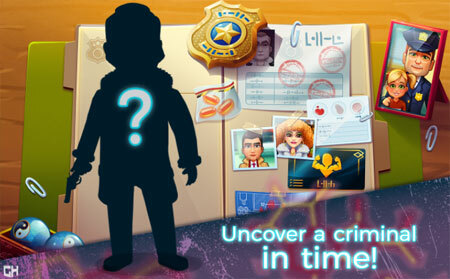 Master 18 mini games based on forensic investigation. Play through 60 extraordinary story levels and 30 extra challenge levels. If you get stuck in the game, check out the video walkthrough and gameplay for the game. This entry was posted in PC Games, Walkthrough and tagged Parker & Lane: Criminal Justice Challenges, Parker & Lane: Criminal Justice Cheats, Parker & Lane: Criminal Justice Gameplay, Parker & Lane: Criminal Justice Guide, Parker & Lane: Criminal Justice Hints, Parker & Lane: Criminal Justice Review, Parker & Lane: Criminal Justice Solutions, Parker & Lane: Criminal Justice Strategy, Parker & Lane: Criminal Justice Tips, Parker & Lane: Criminal Justice Walkthrough by Marvin. Bookmark the permalink.